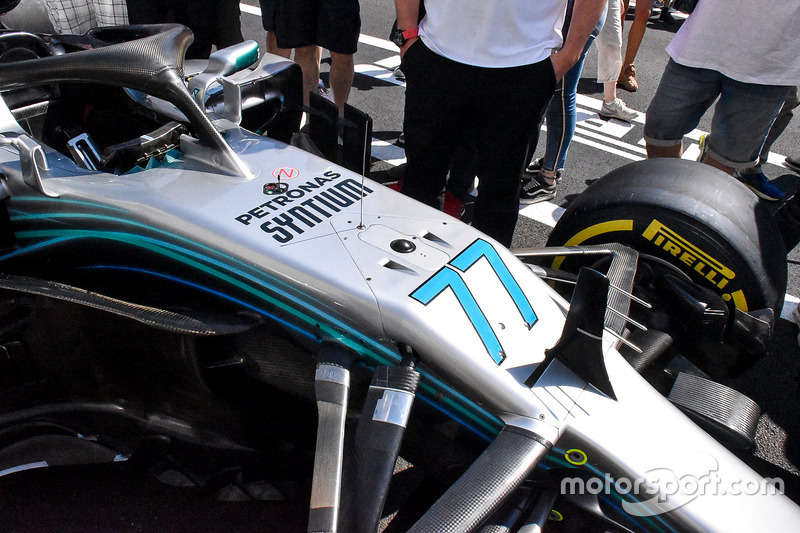 As Formula 1 returns to France this weekend, Giorgio Piola and Sutton Images reveal the all-important technical updates on show in the Paul Ricard pitlane. 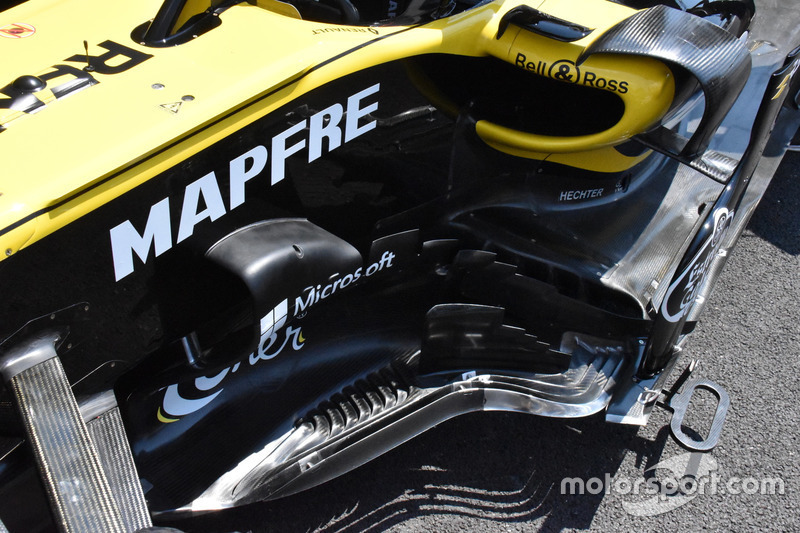 A look at the recent changes made to Renault’s rear wing endplates, which now feature a design akin to one used by McLaren for some time. Mercedes’ front brake assembly before the brake drum has been installed. 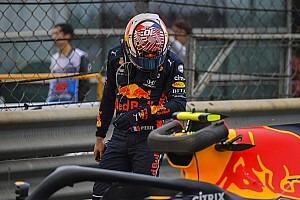 The team has revised the horizontal winglet, lengthening it and dividing it into two surfaces bridged by metal stiffeners. 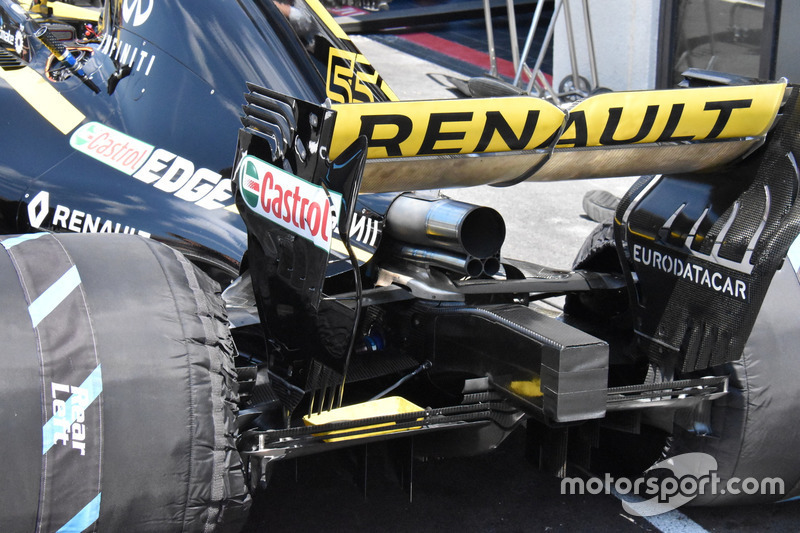 Introduced in Canada the bargeboards mounted on Renault’s RS18 feature curved surfaces to the vertical elements, with the forward-most of those now arching over to meet the chassis, creating a down facing winglet akin to McLaren. 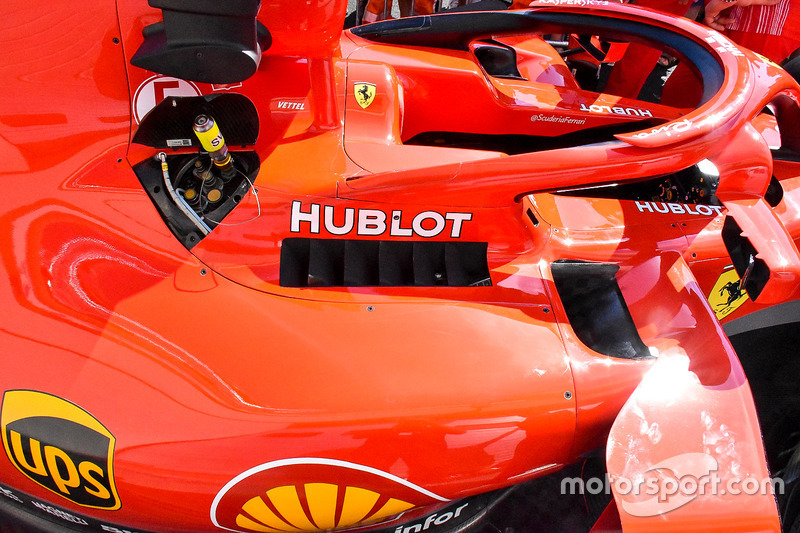 A look over the SF71H’s sidepod shows the level of cooling alongside the cockpit that’s likely to be used this weekend. 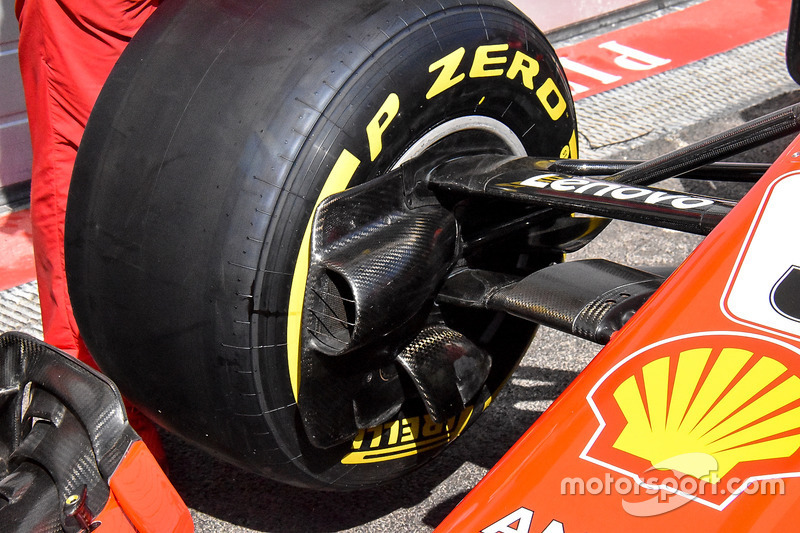 Ferrari’s front brake duct, the large scoop also powers the blown axle. 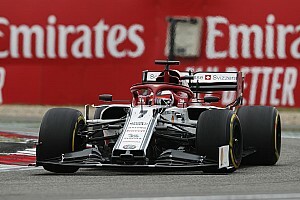 The Mercedes features a cooling blank off panel on the cockpit shoulder outlet as the team balance the needs of cooling and aerodynamic efficiency. 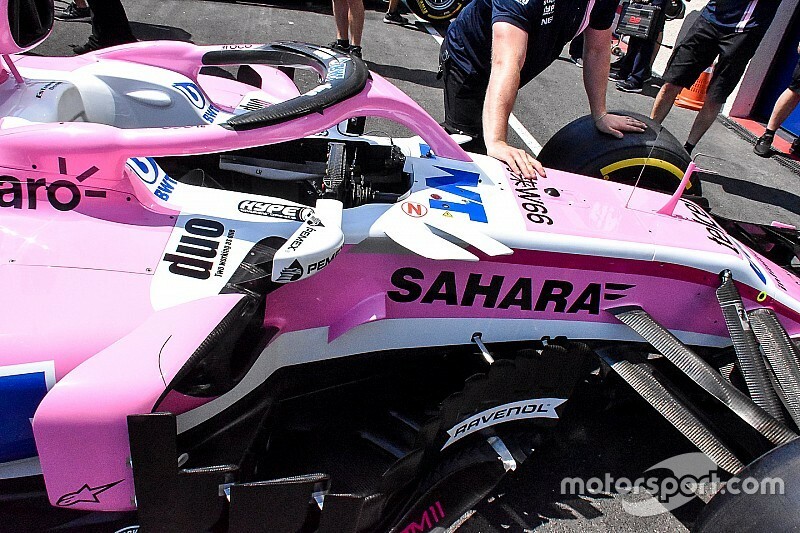 Force India has added an aggressively downturned winglet on the side of the chassis just ahead of the sidepod (left of the Sahara logo), as they look to improve cooling and aerodynamic efficiency. 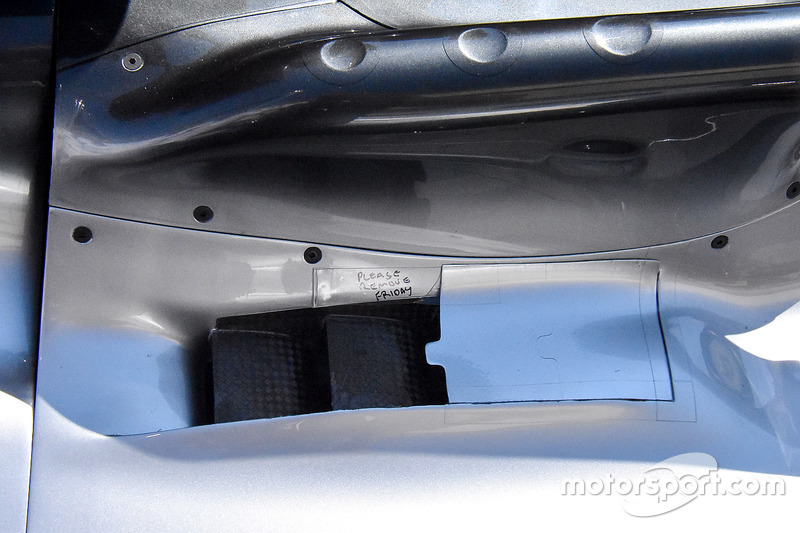 Two small NACA-style ducts have been included in the W09’s vanity panel this weekend, as Mercedes look to improve cooling to the cockpit for their drivers' comfort. 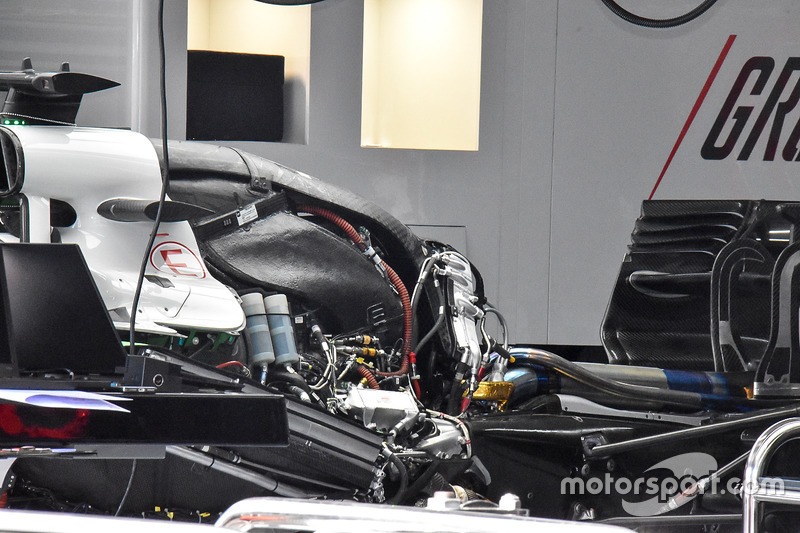 A look at the Ferrari power unit installed in the rear of Romain Grosjean’s VF18. 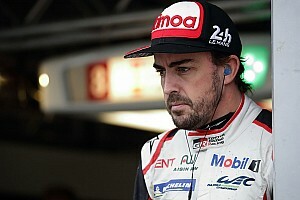 Mercedes HPP plans to run a new specification of power unit in the works and customer teams cars this weekend. 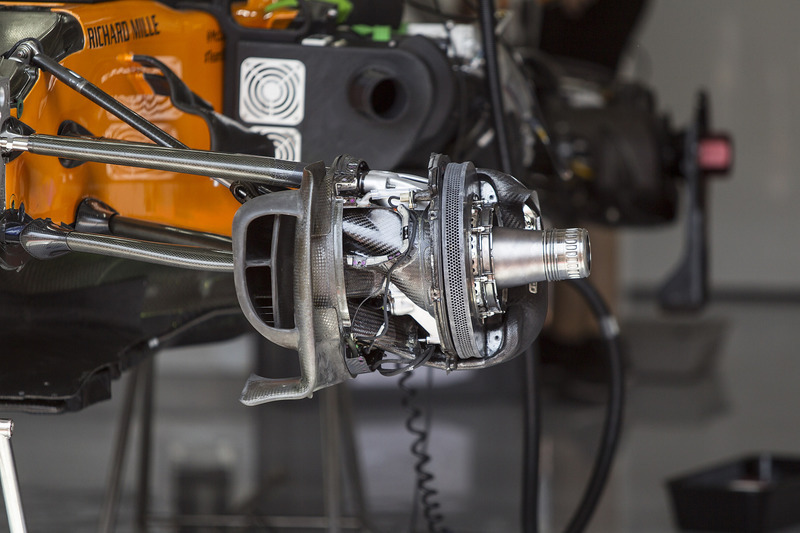 Here’s how Force India install its unit and associated ancillaries. 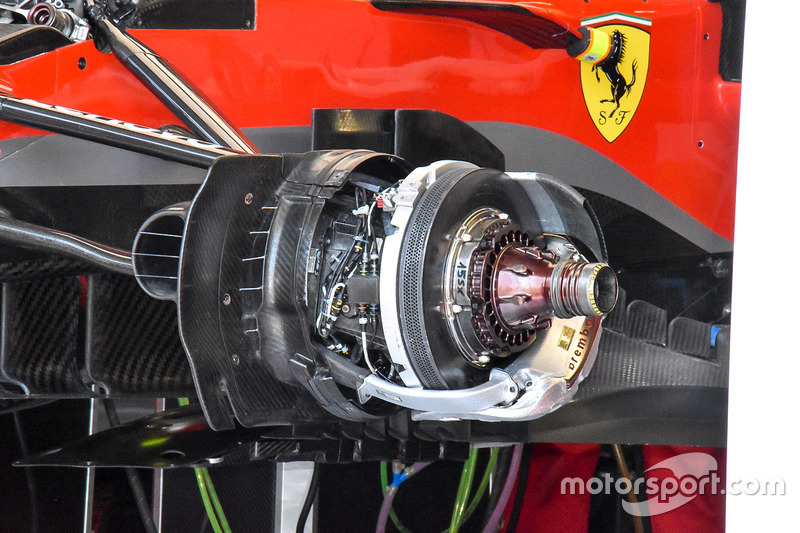 A look at Ferrari’s front brake duct without the cake tin applied. 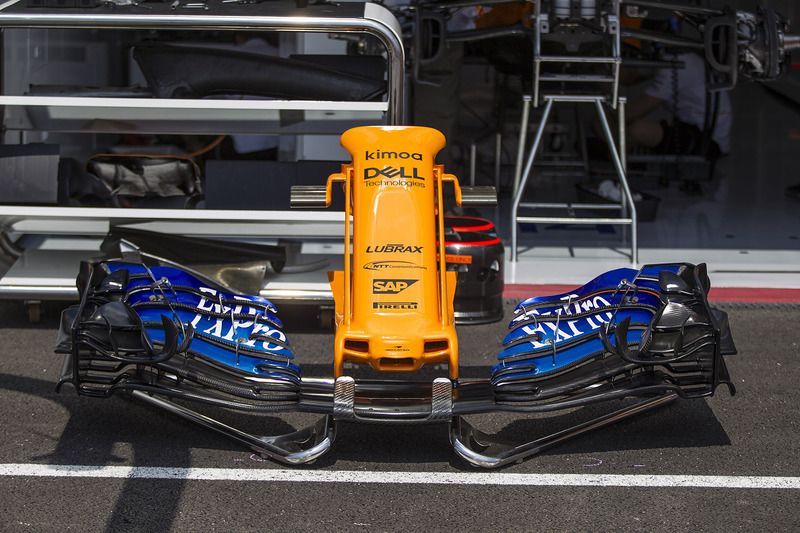 An overview of McLaren’s nose, which was introduced a few races ago. 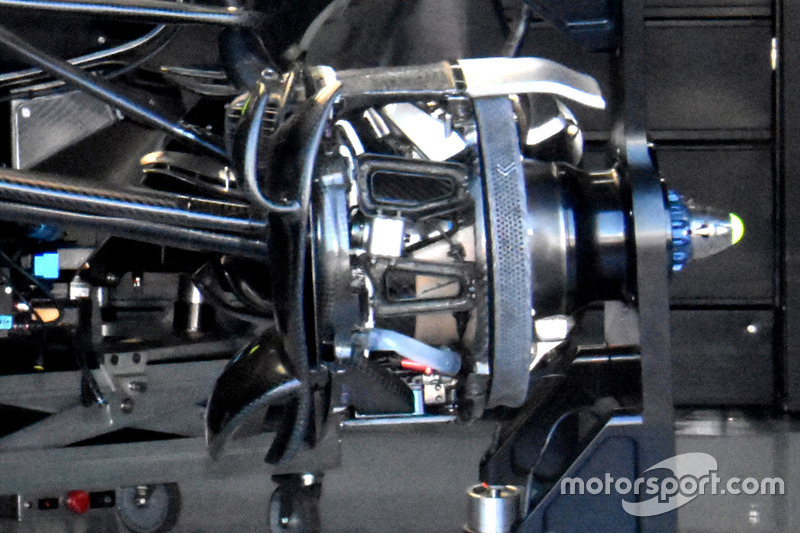 A close up of McLaren’s front brake duct without the cake tin attached. 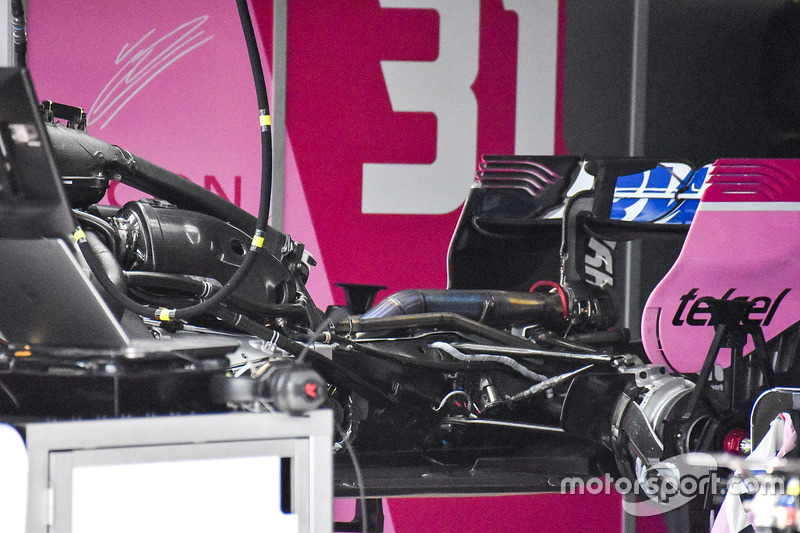 Sauber has updated the area ahead of the sidepods in recent races, and this shot gives a great view of the slotted splitter extension. 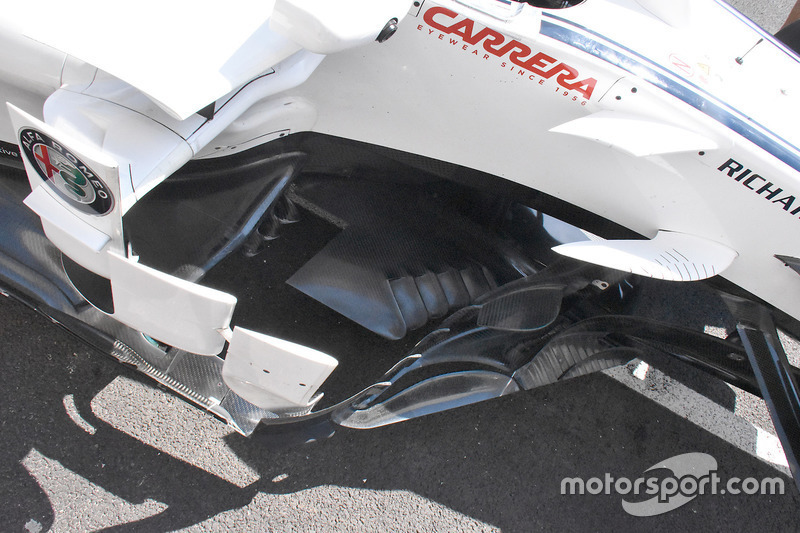 Also note the three strakes on the leading edge of the floor. 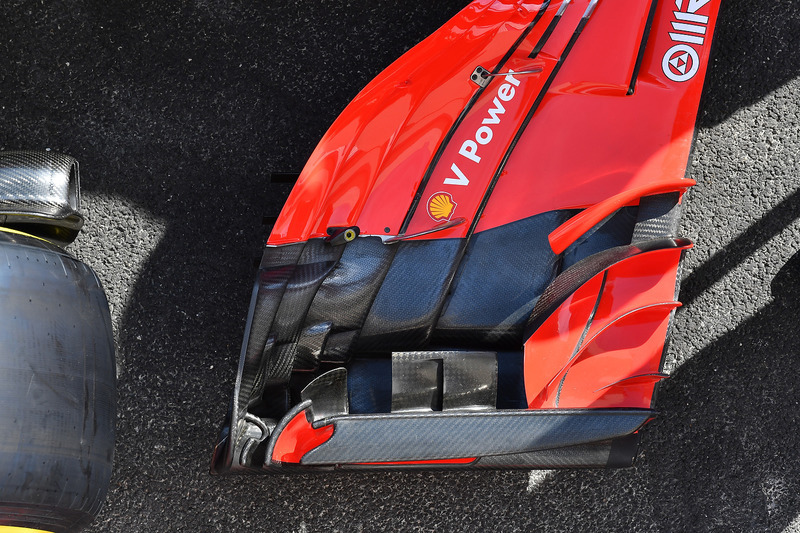 Ferrari’s front wing from above. 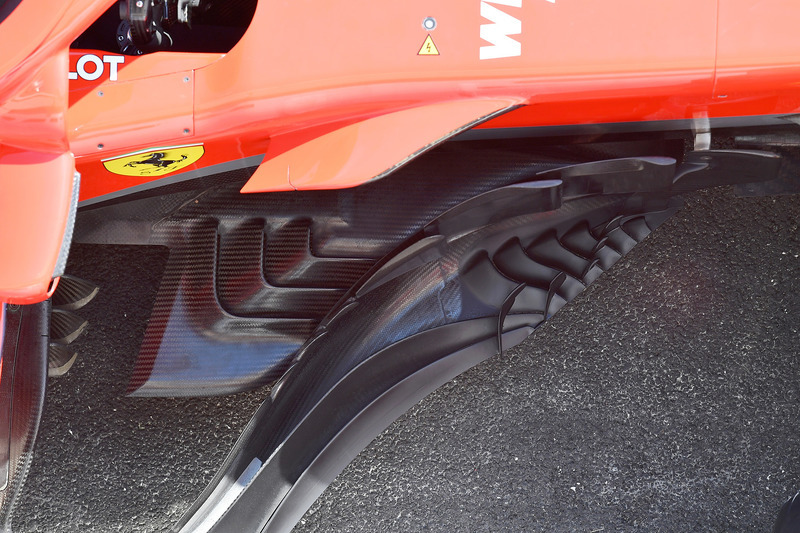 An overview of the slotted footplate and splitter extension on the Ferrari SF71H. 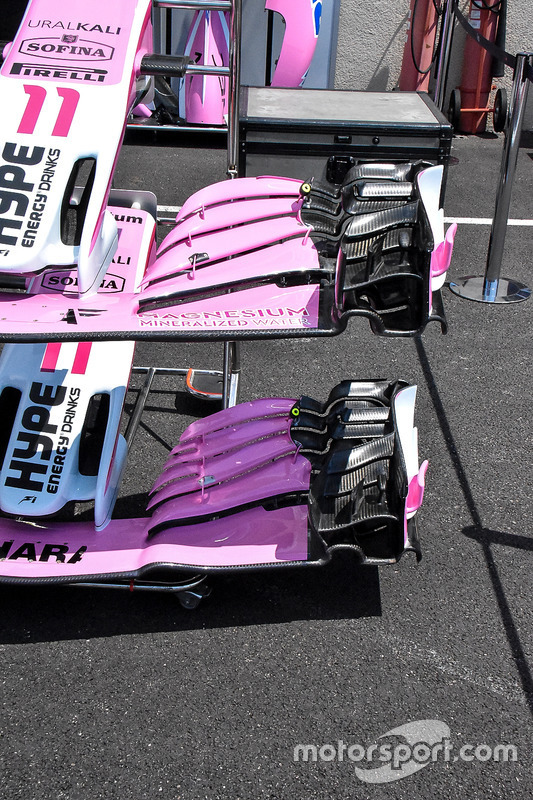 The two wings on offer for Force India this weekend, the lower of which is the newest specification and features a curvature on the leading edge of the main plane where it meets with the neutral section and serrations in each of the upper flap’s tips. 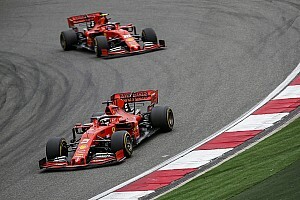 New Territory: Who will win on the return of the French F1 Grand Prix?